Breathtaking. A word that perfectly encapsulates the first ever PTT Thailand Grand Prix which saw Marc Marquez (Repsol Honda Team) emerge victorious to take another giant leap towards the 2018 MotoGP World Championship, as the battle in Buriram went down to the wire between the Spaniard and second place Andrea Dovizioso (Ducati Team) with Movistar Yamaha MotoGP’s Maverick Viñales claiming a valiant comeback podium. It was Marquez who got the holeshot from pole as the lights went out, with Valentino Rossi (Movistar Yamaha MotoGP) tucked in behind his rival from P2 on the grid. Cal Crutchlow (LCR Honda Castrol) launched well from P5 to slot into third, before Dovizioso re-took P3 into Turn 3 as the front three in qualifying held station, spearheading the field into a high-speed game of chess at the Chang International Circuit. Everyone held position before Rossi got past Marquez on lap 4 on the run down to Turn 3, ‘The Doctor’ back up the sharp end and looking strong to control the pace. With tyre life a major factor in the soaring Thailand temperatures, no one wanted to force their hand. That was until lap 11 when Rossi couldn’t get his M1 firing off the first corner, with the Ducati of Dovi and Honda of Marquez getting past the nine-time World Champion – the number 04 now the man in charge of controlling the 200mph freight train. With lap times fluctuating and a front group of eight now packed together, Johann Zarco (Monster Yamaha Tech 3) the man to lead Dani Pedrosa (Repsol Honda Team) and Alex Rins (Team Suzuki Ecstar) up to the tailpipes of Viñales in fifth, it was only a matter of time before someone decided to pull the pin and with 11 laps to go, Dovizioso upped the pace. Marquez and Rossi tagged along, with fourth place Crutchlow slipping back down the order from P4 to P7. 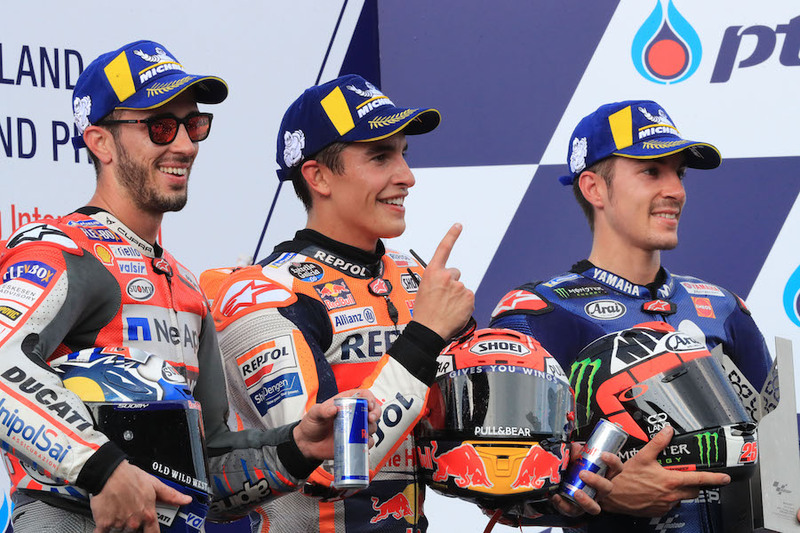 However, the lap times then slowed again as Viñales bridged the gap to the leading trio, with Pedrosa then crashing at Turn 5 with eight laps remaining as he and Zarco got a whiff of a potential podium, the duo closing down the leaders by half a second on the previous lap. 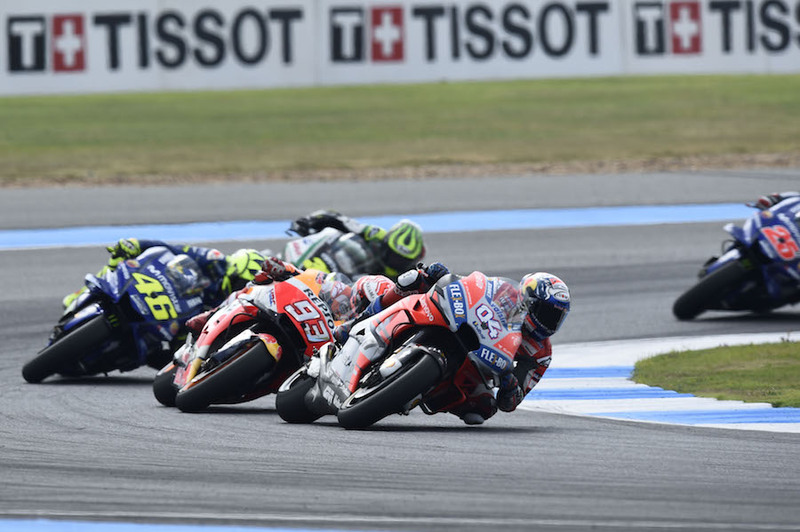 The race then entered a critical stage and it was Dovizioso and Marquez who started to fight it out for the lead, with Rossi starting to lose touch as teammate Viñales moved through to get a front-row seat of another Ducati vs Honda battle. 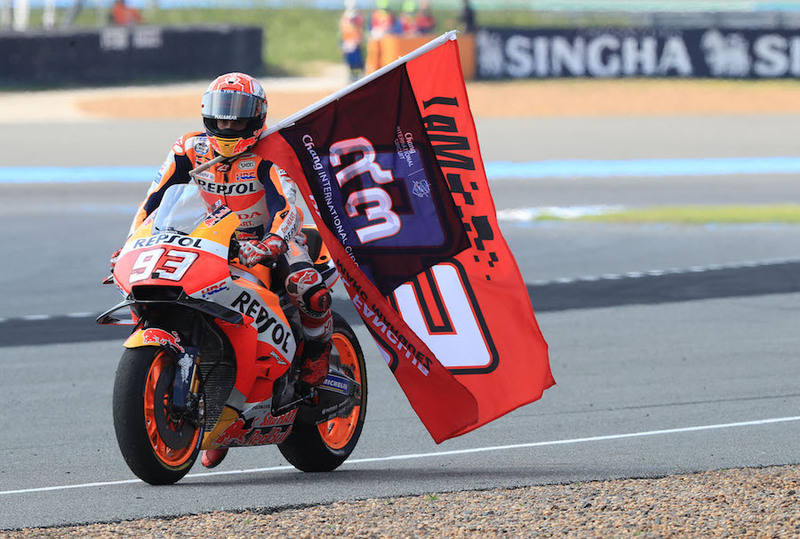 With four to go, Marquez played his first hand, braking deep into Turn 3 in an attempted pass. But he ran wide to allow Dovi to slice back through. This painted the picture for a barnstorming final three laps in Buriram. On the same lap, Marquez sliced his way through at Turn 8, but Dovi snapped straight back at Turn 9. It was déjà vu a lap later as the Repsol Honda grabbed the lead into Turn 8, no way through for the Ducati this time at Turn 9, but a pass into Turn 12 was made to stick heading onto the last lap. 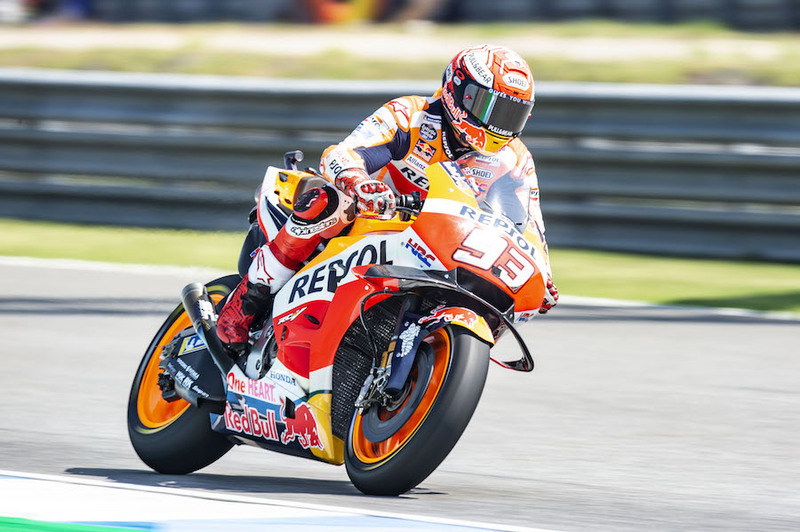 The chosen corner for a Marquez assault was Turn 5 – a great move from the six-time World Champion with Dovizioso unable to squeeze back under at Turn 6. This set us up for another final corner epic between the two. 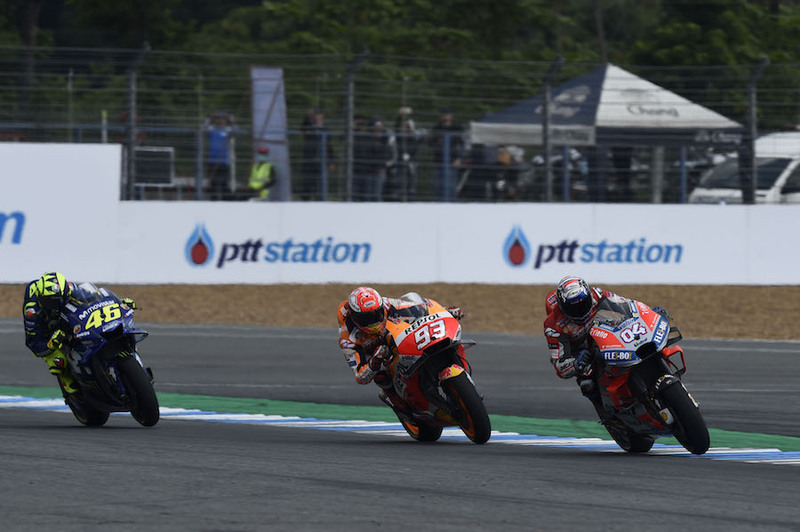 Dovi got the run off Turn 11 to brake late into the final corner to get alongside Marquez, but the Desmosedici couldn’t quite drop its anchors quick enough – Marquez cutting back underneath Dovi to win the race to the line, with Viñales just 0.270 away from the win in third. Rossi crossed the line fourth in what was a hugely promising weekend for Yamaha, with fellow M1 and leading Independent Team rider Zarco getting the better of Rins – P5 and P6 respectively for the duo. 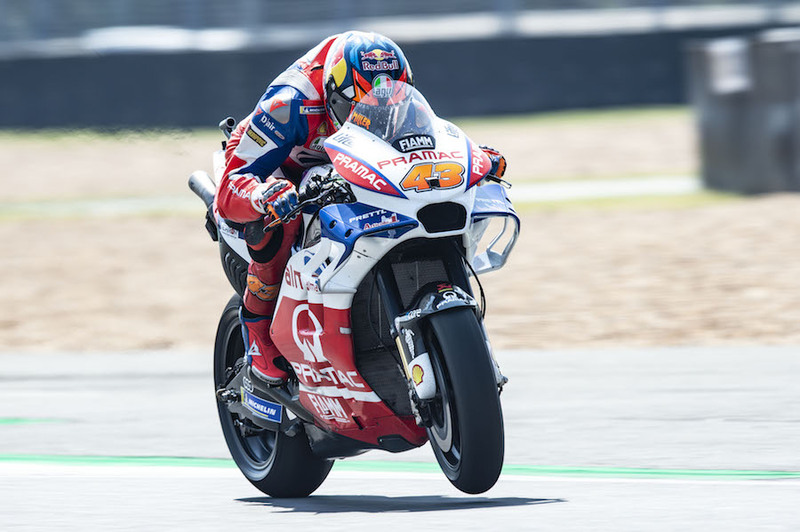 Crutchlow ended the race seventh, finishing 0.171 ahead of Alvaro Bautista (Angel Nieto Team) in eighth, with the two Alma Pramac Racing riders completing the top ten – P9 for Danilo Petrucci, P10 for Jack Miller. Andrea Iannone (Team Suzuki Ecstar) couldn’t repeat his Aragon heroics in Thailand – P11 for the Italian after a bad start, with Hafizh Syahrin (Monster Yamaha Tech 3) taking top rookie honours that sees the Malaysian return to form in P12 – his best finish since Le Mans. Aprilia Racing Team Gresini’s Aleix Espargaro crossed the line P13, the only rider to not run the hard rear tyre in the race, with Franco Morbidelli (EG 0,0 Marc VDS) and Bradley Smith (Red Bull KTM Factory Racing) completing the points in P14 and P15 respectively. Takaaki Nakagami (LCR Honda Idemitsu) crashed at the final corner on lap 3 – rider ok.
A seventh win of the season draws Marquez level with Jorge Lorenzo (Ducati Team) on 68 Grand Prix wins, while it also gives him a magnificent chance to wrap the title up at Honda’s home round – Motegi. The 2017 Japanese GP was the scene of another iconic Marquez vs Dovizioso tussle, will we be treated to another sensational spectacle in two weeks’ time?